While some members of the Twitterverse feel that Intelligent is a letdown, others feel that it is a decent watch. It is no secret that 2017 was a year of mixed fortunes for young star Sai Dharam Tej. In August, he received some bad news when the much-hyped Nakshatram underperformed at the ticket window despite impressing a section of movie goers. Directed by ace filmmaker Vamsi Krishna, it was action drama and also had ‘Bilingual Hero’ Sundeep Kishan in the lead. Shortly thereafter, the ‘Supreme Hero’ bounced back in style when Jawaan opened to a good response at the box office and received decent reviews. An action-entertainer, it was directed by BVS Ravi and also had Mehreen Kaur Pirzada in the lead. Talking about the film, he had said that shooting for it was a challenging experience. Now, with 2017 in the past, SDT’s latest release Intelligent has finally hit screens. And, fans seem to have mixed feelings about it. While some have termed it as an entertainer, others have called it a letdown. It will be worth watching whether the mixed response affects the film’s opening day collections. Weakest #Vinayak‘s work till date!! 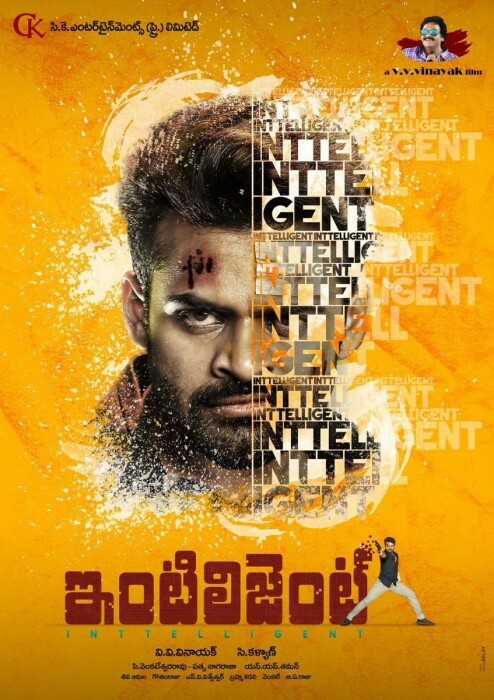 I read that ‘Snake Gang’, which terrorised people in the outskirts of Hyderabad few years ago, is the inspiration behind #VVVinayak‘s new film #Intelligent. In case you did not know, Intelligent is touted to be a fun-filled entertainer and also has actor Lavanya Tripathi in the lead. Last year was not a particularly good one for her. Her biggest release of 2017 Yuddham Sharanam did not quite live upto expectations. An action-thriller, it also had Naga Chaitanya in the lead and received unflattering reviews from all corners. It will be worth watching if she is able to bounce back with Intelligent. So, will you be watching Intelligent over the weekend? Comments, please!